Each time you shop at the co-op, you have a chance to directly support local community partners by donating your 10-cent reusable bag credits and rounding up your purchases to the nearest dollar. It may only be a few cents or spare change, but your generosity makes a huge impact — to the tune of over $10,000 each month for our Positive Change recipients! April’s Positive Change recipient is Minnesota Food Association (MFA), a nonprofit that builds sustainable food systems based on social, economic, and environmental justice through education, training and community partnerships. Since 1983, MFA has worked to build a sustainable local food system in Minnesota through food advocacy, organic farming resources, technical assistance, and land access. 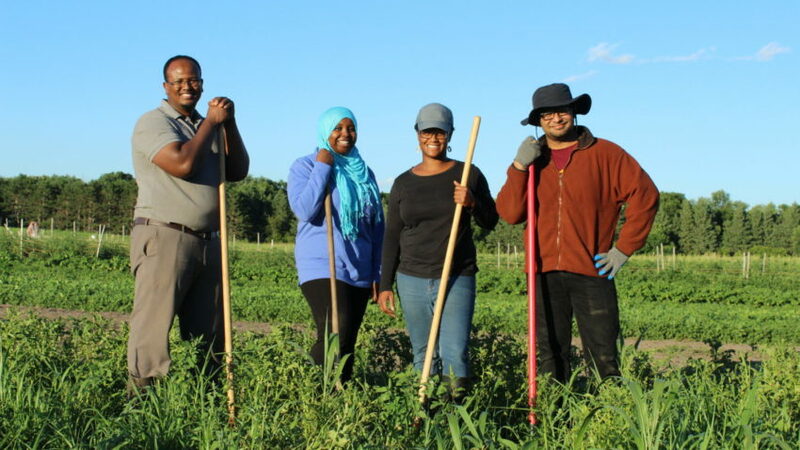 MFA operates a land-based Farmer Education Program, which provides immigrants, refugees, and people of color with training and resources to launch organic farm businesses. Program participants have access to land at Big River Farms, MFA’s 150-acre certified organic farm in Marine on St. Croix. April Positive Change funds will provide vital support to MFA’s range of programming, including education on organic farming and farm business management; land access; and market opportunities for immigrants, refugees, and people of color. Funds raised at co-op registers during April will also support MFA’s educational programming on sustainable agriculture and local food systems for youth and the broader community.